Having greenery and a beautifully landscaped front yard adds to the curb appeal, as well as the value of your home. But maintaining the lush look needs regular care and it can be hard work. Sometimes you may even need to do more than just mow the lawn or trim the bushes. You may need to cut down an old or diseased tree, remove a tree stump, or trim tall trees that require cranes and other special equipment. 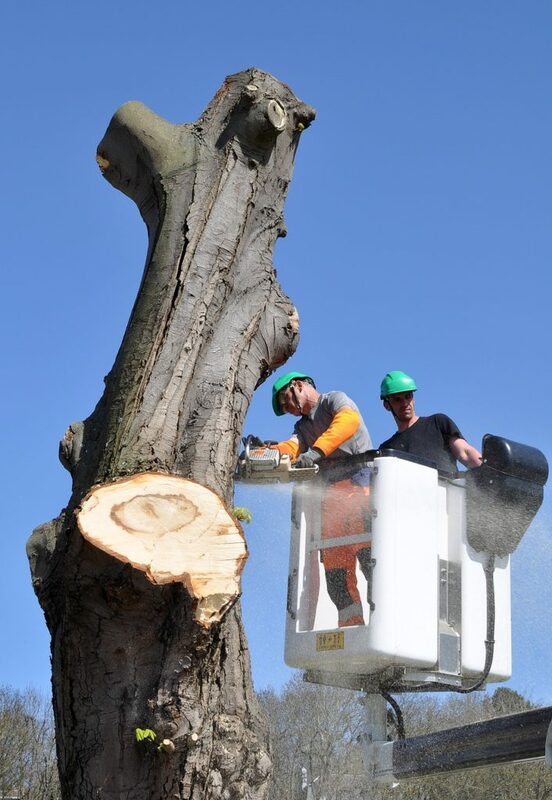 For jobs such as these, you need to hire a tree service company.Now the task of hiring the best tree cutting service in your area may seem simple enough, with a lot of companies around. But hiring a reputable company with expert professionals who will get your job done right, may require a little more work. So what is the best way of finding a good company? Read on to find out. A company that is accredited by the Better Business Bureau (BBB) and has an A+ rating, means that it is a reputable business. A good standing with the BBB gives any company a favorable edge over others that are either not accredited or have a lower rating. 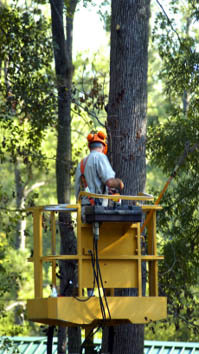 Any tree service companies that you are considering should have proper liability insurance and workers’ compensation insurance. The company’s insurance agency should be able to send certificates confirming the insurance status. This way you do not have to pay for any repairs for damage done or any injuries due to any accident during the job. Positive reviews from customers who have used the services of the tree company are a great indicator of how reputable that company is. It takes time and effort for a business to build a good reputation. So if other customers can vouch for an excellent level of service, you can be assured that your job will also get done properly. If the price of your job seems too good to be true, it probably is. Too low pricing may be due to lack of experience, improper insurance, prior jobs that may not have been done well, lack of proper equipment, or other reasons that you may need to be wary of. At the same time, if a company is overpricing their services, then they may just be trying to rip you off. What does that tell you about the ethical practices employed by that company? It is best to pass up these companies and look for more reasonable pricing. There is always a chance that any door-to-door contractors are con artists preying on unsuspecting customers. You may have no way of knowing how reputable or how experienced they are. It is best to say no to them. During the times after any natural disaster when you may need land clearing or tree removal services, you may find more door-to-door contractors advertising their services. Other companies may also hike their prices. So be careful at these times and hire a reputable company with experienced professionals on their team. One of the most important rules to follow is to pay only after your project has been completed and you are 100% satisfied with it. There have been cases where the customer paid the company without the work being completed, and the company either never returned, or came back and did less than satisfactory work. Keeping these pointers in mind will help you pick the right tree service company in your area. In Florida, you can call Advance Tree Pros, the leading Orlando tree service company for any type of tree service you may need. At our company, we make sure that we have experienced staff, are fully insured, have the right equipment, and follow the correct steps to complete any work. Just call us today at (407) 960- 4893 to get a free no obligation quote for any tree service you may need.